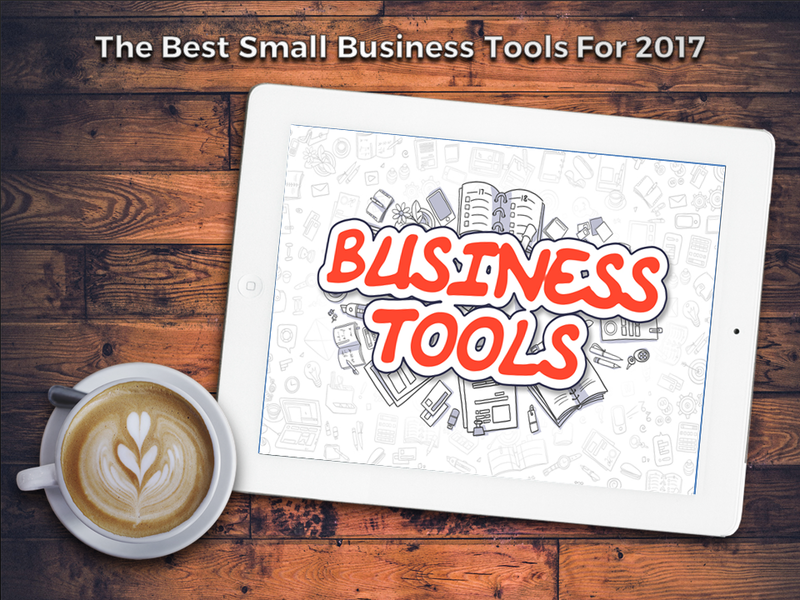 Whether you are starting up a business or already are running a business, there are an unlimited amount of small business tools out there for you to use. If you are looking to create growth in sales or innovation, increase your profits, or retain customers there are tons of new ways to do so in 2017. Small Biz Daily, or smallbizdaily.com, is one of the fantastic resources you can use to learn more about your business, industry, or anything else. This website has a large number of topics to choose from when you are in need of some small business knowledge. From Management to Technology, this site has it all. You can learn to manage your business’s money, create better marketing and sales strategies, and even find a small business loan through this site. Creating newsletters without a template can be a pain, but MailChimp has come to the rescue for your small business. MailChimp has easy to use templates for your email newsletters for a relatively low price. If you are not a tech-savvy individual, this website makes it easy to create visually appealing newsletters to send out to your customer list. Email newsletters are an easy and cheap way to get the attention of your clientele and MailChimp has a free option available. TED Talks have become a more popular resource when it comes to starting or running your own business. There are quite a few with vey useful information. A TED Talk, “Forget the Pecking Order at Work,” by Margaret Heffernan about the leadership order at work has helped enlighten business leaders on how to develop an all-star team of employees. Heffernan talks about giving your workplace a more connected and fulfilling atmosphere that will help build up a team that drives success. “How Great Leaders Inspire Action” is a TED Talk by Simon Sinek that business people from all over have raved about. Sinek takes you through why people buy from you and how you can become a powerful and successful leader by doing things purposefully. From hiring people who believe in your culture and are hard workers, you can lead your team more efficiently than just hiring the person with the best resume. Try using Outright. Outright is a free accounting software that will prepare tax documents for your end of the year accounting. You can use this software alongside others like PayPal and other credit cards. As your business grows, so do your expenses. Keeping up with your expenses becomes harder and harder to do. To simplify the time you spend sorting through receipts, sign up for Shoeboxed. This software allows you take photos of your receipts and then categorizes them in its files. You will have all of your expenses digitally saved and filed away for when you need them. And the bonus is that it pairs up with Outright, mentioned above. OmniFocus is the perfect thing for the unorganized small business. If you are having a hard time getting everything in your brain onto paper, OmniFocus is for you. OmniFocus takes all of your thoughts, notes, and information entered and gives you more efficient ways to organize your thoughts. A bonus of using OmniFocus is that it gives you the ability to sync your data to a cloud server in case of crashes or technology issues. This app can be used on a MacBook, iPhone, iPad, and Apple Watch for easy access at all times. One of the most well-known business tools that most small business owners take for granted is LinkedIn. LinkedIn has been on the rise for years now and has helped large and small businesses alike. By making connections and sharing business related articles and opinions, small businesses can promote their offerings. You can find new employees, post job openings, and create an online presence that customers and future employees can look to for information. As social media continues to grow, Facebook is becoming one of the main interfaces that small businesses use to get in touch with their markets. Facebook is basically free and is connected with your personal account.Of course there are paid ads as an option also. Creating a page for your small business can help you reach new market segments just by a few clicks of a mouse. You can also pay for your advertisements to be boosted in your area and targeted at the demographics that you choose. This comes in handy for a small business with a small marketing budget. You do need a plan and budget for your social media marketing for it to be effective. Websites like Forbes,Entrepreneur and WIRED are some of the top sites for small businesses owners. These sites cover anything and everything for almost every industry. Tech-based small businesses will be more inclined to read WIRED or TechCrunch. Smartcompany.com.au is another great platform for business owners seeking advice or information on a range of topics. Not only are there online resources, but an endless list of reading material. Books like Get Backed by Evan Baehr and Evan Loomis and The Entrepreneur Mind by Kevin Johnson are books that have five star reviews on Amazon, Barnes & Noble, and other retailers, time and time again. These books will help any entrepreneur pave their way to success by sharing knowledge that successful entrepreneurs have used to create their dream business. Although there are many resources out there for you to choose from, these are some that small business owners and entrepreneurs have raved about. If you are looking to take your small business or start up to the next level, why not book a free Strategy Session with Brian today.